Life insurance can do some pretty amazing things. It can buy loved ones time to grieve, pay off debts and business loans, keep families in their homes and pre-fund a child’s college education… but there is one catch. You need to own it. Life insurance is much more than just a death benefit. 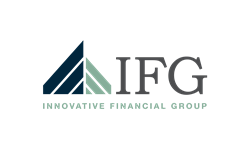 At Innovative Financial Group, we can help answer your questions including how much to purchase, what type to consider, how it works within your estate and review existing policies to ensure the benefit will accomplish what was intended. At the end of the day, you will be able to answer one very important question – “How well are you planned and how can you tell?” Call us today for a complimentary consultation.